The highlight of Round 11 of Hero I-League saw league leaders East Bengal doing a league double over defending Champions Bengaluru FC. An emphatic 3-1 victory against the Blues by the Red and Golds was a thumping statement. Robin Singh with a brace and Wedson with a stunner silenced the home crowd. 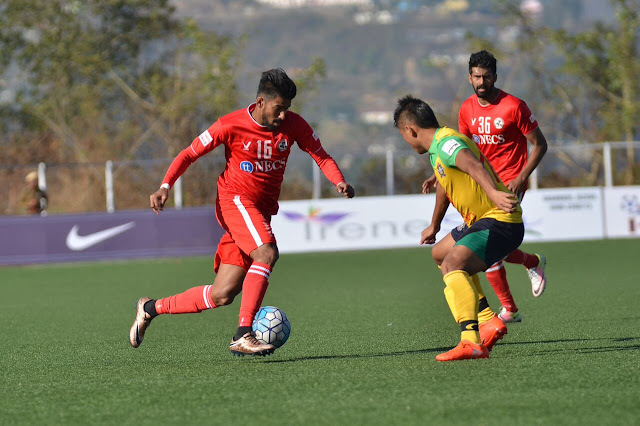 Khalid Jamil's Aizawl FC are continuing to defy all expectations, moving to the second spot of the I-League after registering a 1-0 victory against Chennai City FC. Churchill Brothers SC were brutally dominant against DSK Shivajians FC in their 3-0 rout against Dave Rodgers' team. Anthony Wolfe and Ghanefo Kromah scored int he second half while Surabudding Mollick's injury time stunning left footed strike could very well possibly be a goal of the season contender. Elsewhere in Mumbai, Minerva Punjab FC continued their steady progress in their debut season with a goalless stalemate at the Cooperage piling more misery to Santosh Kashyap's side.